Fifth column: Only one bank robber? Some TV channels were so determined to find this ‘third generation diamantaire’ that fearless TV reporters were sent off to an apartment in New York where he was supposed to be hiding. Tavleen Singh, a leading Columnist associated with The Indian Express. Find all Columns from Tavleen Singh here. In the past week we have learned everything there is to know about the man who (if all allegations prove true) could be the most successful bank robber in Indian history. When you have covered politics and government as long as I have, you develop a healthy distrust of officials and politicians. 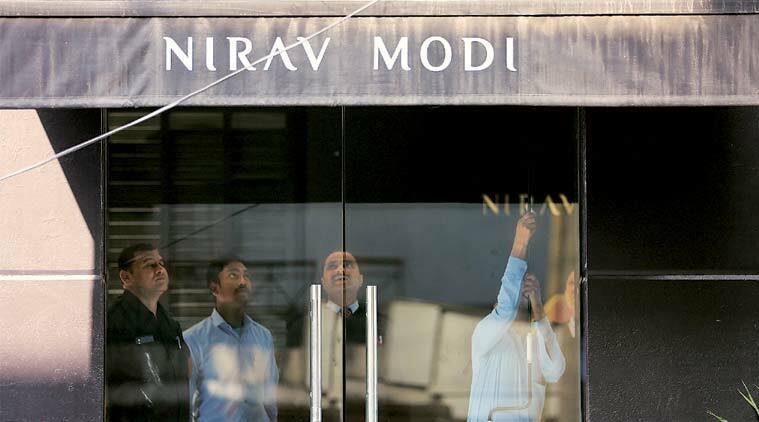 So what worries me about the Nirav Modi story is that the officials have remained faceless. This is something they are very good at doing when something bad happens. They simply vanish into the bowels of government offices to which ordinary citizens have no access, and disappear behind rules that only they fully understand. They get away with this because most of us intrepid investigative journalists are socialist by nature and hence inclined to believe that the denizens of the mighty Indian State can do no real wrong. Politicians we routinely like to revile but somehow officials escape. Something like this is already beginning to happen in the fascinating tale of Nirav Modi. In the past week we have learned everything there is to know about the man who (if all allegations prove true) could be the most successful bank robber in Indian history. We have seen pictures of his fabulously expensive fleet of foreign cars. We know about his fancy apartments and shops. And, even that his wife was such a fastidious socialite that she used a thermometer to test the temperature of soup before she allowed her rich and famous guests to taste it. Some TV channels were so determined to find this ‘third generation diamantaire’ that fearless TV reporters were sent off to an apartment in New York where he was supposed to be hiding. Well done my fellow hacks but why do we see so little effort to uncover the whereabouts of the men who made it possible for Modi to become so amazingly rich? Why do we know nothing about how he managed to fool the officials of the Punjab National Bank into giving him so much money? When us mere mortals risk losing land and property if we do not pay back loans on time, when farmers kill themselves because of being unable to pay banks, how did this jeweller manage to get more and more money out of public sector banks? The story that he had one or two lowly bank officials in his pocket simply does not ring true. If it is true then we must see the heads of their superiors roll. Why have we not seen heads roll yet in the Reserve Bank of India? The Finance Minister publicly upbraided our central bank for dereliction of its supervisory duties, but surely we need to see much more happen? It is taxpayers’ money that pays for these public sector banks to make huge losses every year, so we have a right to ask some questions. As someone who believed the Prime Minister when he said that the ‘government has no business to be in business’, I want to know why he has done nothing to privatise banks that should have been privatised long ago. The nationalisation of Indian banks was something Indira Gandhi did for political rather than economic reasons. Her biographers have nearly all reported that she confessed often that she did not understand economics. If she had, she would have noticed that our old enemy China started becoming a market economy in the late Seventies. Mrs Gandhi returned to power in 1980 but made no effort to move the Indian economy out of the stagnant socialism in which it had been mired since Nehruvian times. The ugly truth is that socialism served officials and politicians well. If they had done for India what Chinese officials have done for China, people like me might complain less. China as we know continues to be run by a handful of officials, but since that country became a market economy with Chinese characteristics, the average Chinese has benefited. So today no more than 11 per cent of China’s people live on less than $3.10 a day. Compare this with 58 per cent of India’s people living on $3.10 a day, and then remember that despite us having ended the licence raj, India’s economy and certainly most of our banks remain in the clutches of officials. Is it not time that we started investigating what our officials get up to and examine their lifestyles with at least half the assiduous attention we have paid to the life of Nirav Modi in the past week?